Since summer of 1989, Music in the Park summer concert series has rocked downtown San Jose’s parks and plazas. It’s a community happy hour with great live music from big names as well as up-and-coming acts. Music in the Park returns for four after work concerts guaranteed to deliver top-flight entertainment, craft beer and local culinary favorites in the heart of Downtown San Jose. 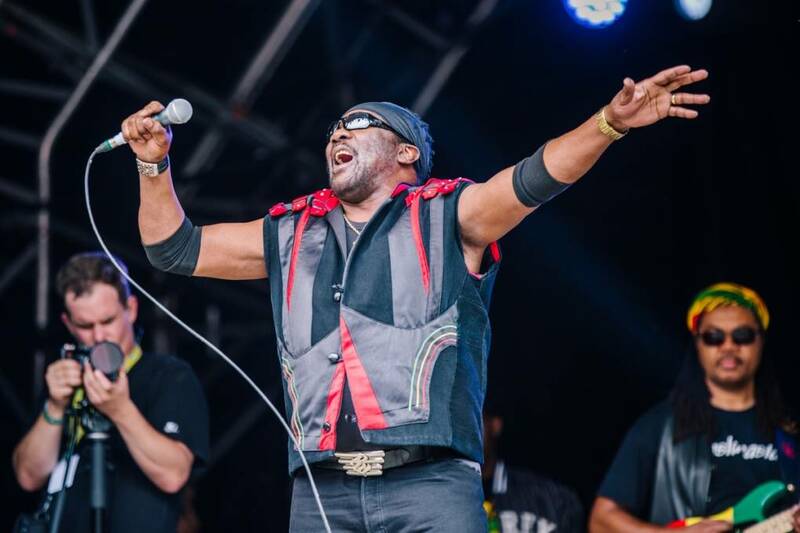 We’ve got tickets to give away to the Thursday, July 12 concert featuring Grammy-winning Ska/Rocksteady legends Toots & The Maytals! We’ve got ten pairs of tickets to give away to San Jose’s Music in the Park! Fill out the form below for a chance to win a pair of tickets and to receive weekly updates about Bay Area art and culture. From all entries, we’ll randomly select ten winners for a pair of tickets (worth $30 per pair.) Deadline to enter is Wednesday, July 11 at 11:59 pm. Winners will be notified by e-mail on Tuesday morning, and tickets will be held at Will Call. You must be a California resident and 18 years or older to participate. Employees of KQED are not eligible to enter. Want to buy your own tickets to this incredible event? Click here.